Rio Pearl is a producer of the finest White and Gold South Sea Pearls in the Mergui Archipelagos of Myanmar. Our mission is to cultivate the most beautiful gems in the world, while protecting the environment that the oysters inhabit. 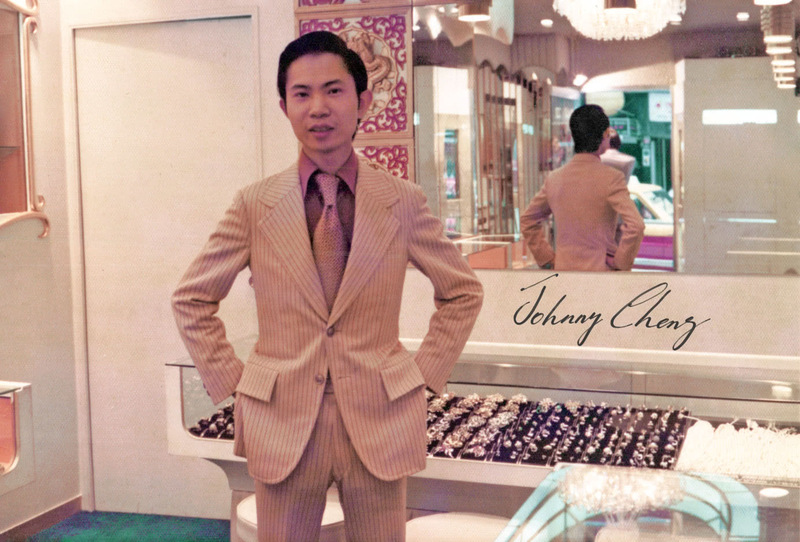 Our founder, Mr. Johnny Cheng started his jewelry business as a retailer at the Hyatt Hotel in Tsim Sha Tsui. 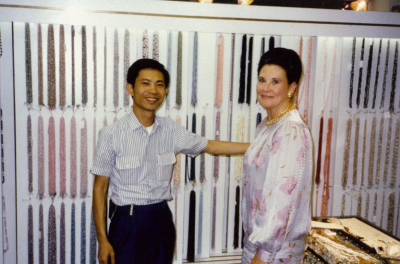 He moved into the wholesale pearl business in 1983 selling Freshwater Pearls and Akoya Pearls. 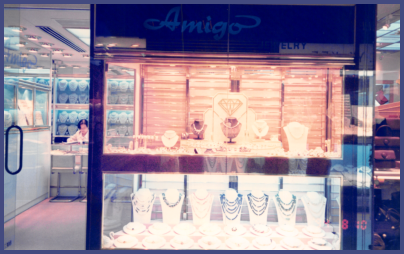 As business expanded, our headquarters moved to Railway Plaza in Tsim Sha Tsui. Rio Pearl attended trade fairs across the world including the United States (Las Vegas, Miami, New York, Tuscon), Baselworld, Germany, Japan, Taiwan, Malaysia, Vietnam, Thailand, Cambodia, Dubai, Kuwait, Amman, Iran, Indonesia, Singapore. 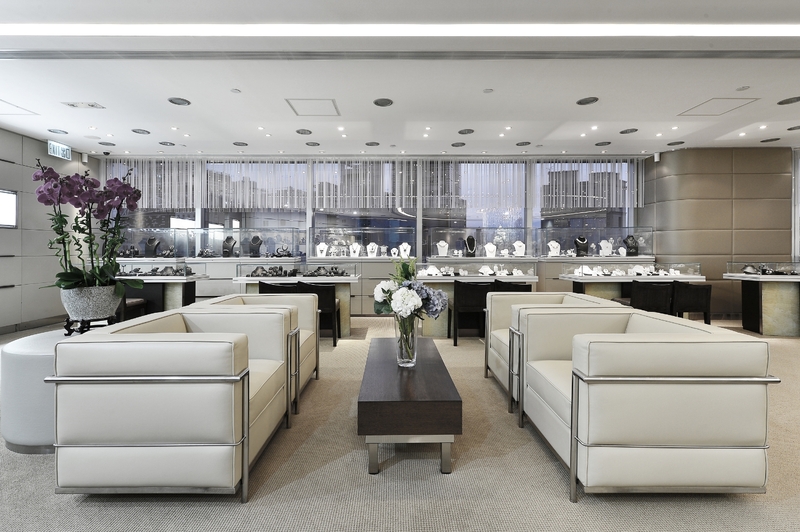 Rio Pearl specialised in creating everyday casual jewelry as well as one-of-a-kind masterpieces. 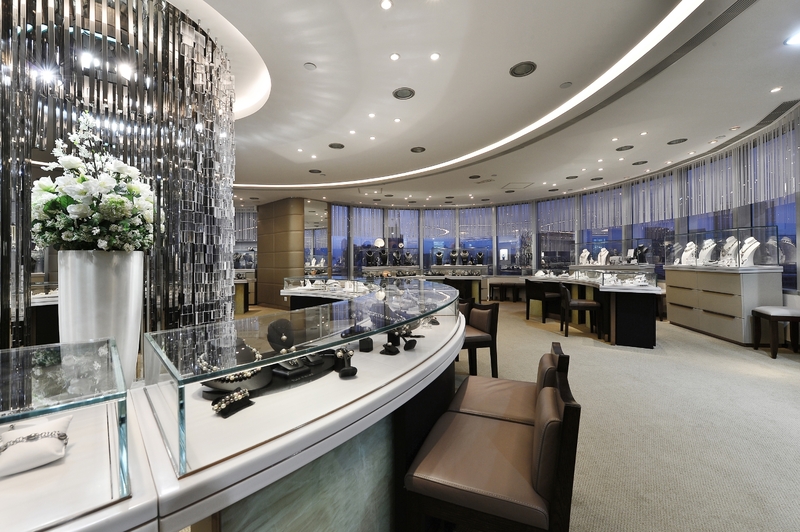 The Rio Pearl Factory opened in 2005 in Shenzhen, leading to new innovations and extravagant pieces for the next decade. 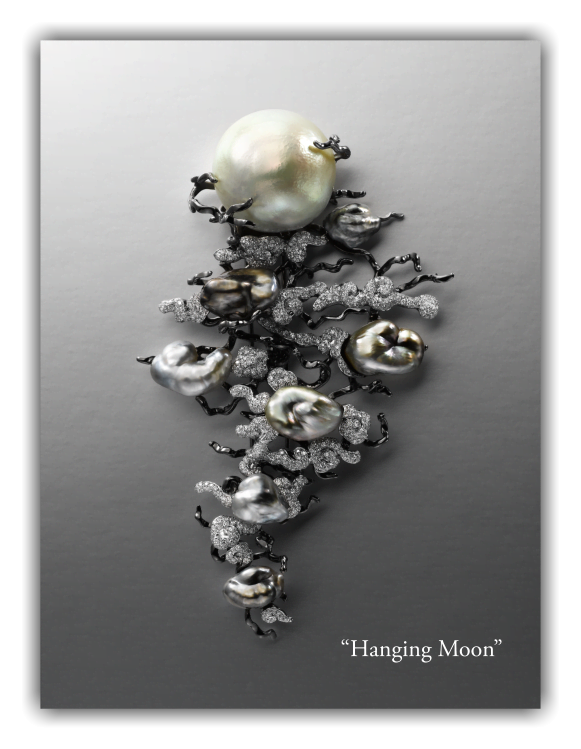 "Hanging Moon", featuring a 21MM Tahitian Pearl with keshi, won the HKTDC International Jewellery Design Excellence Award. 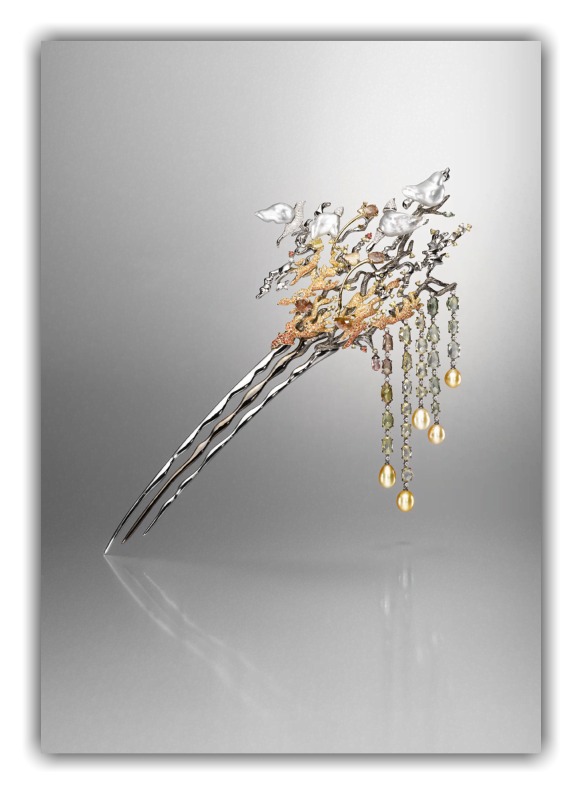 "Melting Snow", featuring a 16MM Tahitian Pearl in diamonds, won the JCK Jeweler's Choice Award in 2010. "Starry Night", featuring White and Gold South Sea Keshi in sapphires and diamonds, won the International South Sea Pearl Jewellery Design Competition Gold Award. Rio Pearl expanded its operations into Myanmar, producing high quality Gold South Sea Pearls. 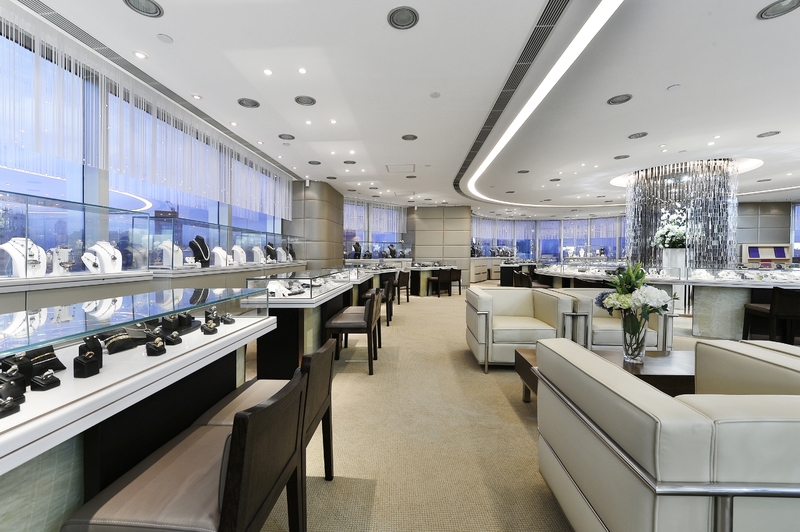 As production increased, Rio Pearl opened its first private auction in 2014, selling 60,000 pearls. 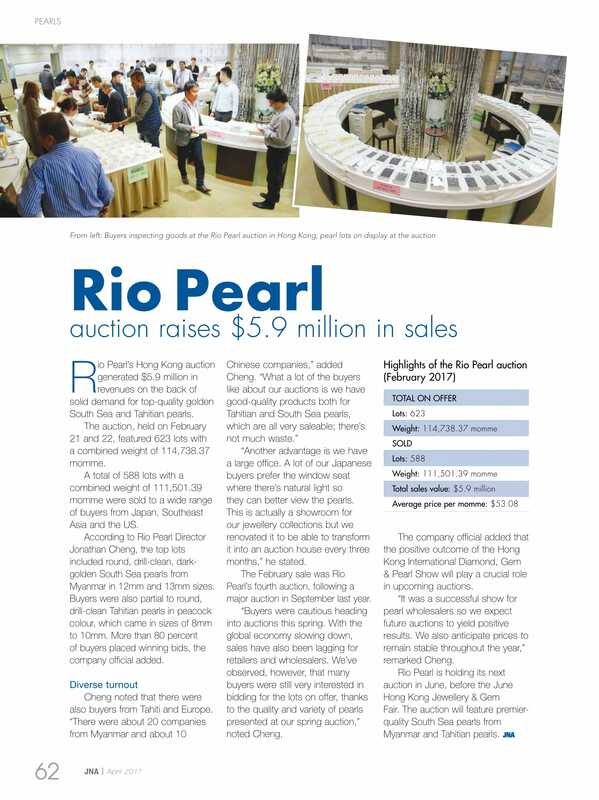 In 2016, Rio Pearl expanded its auctions to a biannual event, holding a Spring Auction and Fall Auction in 2016. 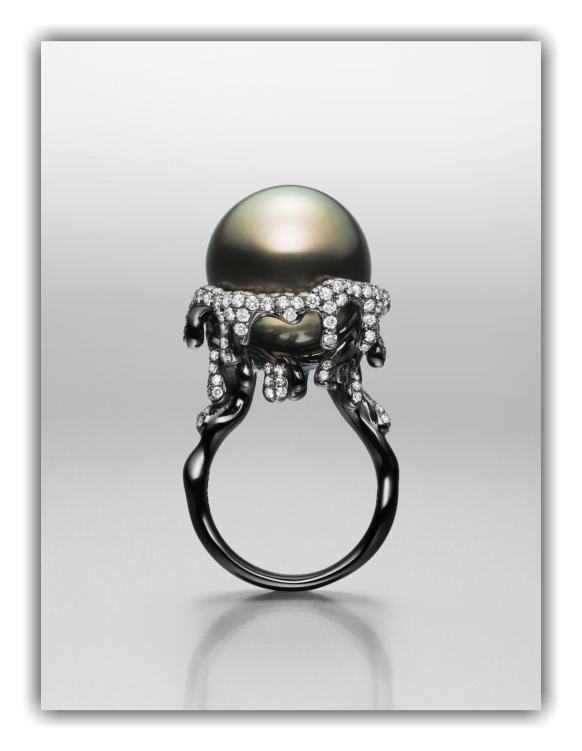 At our Fall 2016 auction, Rio Pearl achieved sales of 97% sold lots from a total of 273,601 pieces of pearl, among which 103,012 Myanmar South Sea Pearls and 170,589 Tahitian Black Pearls. 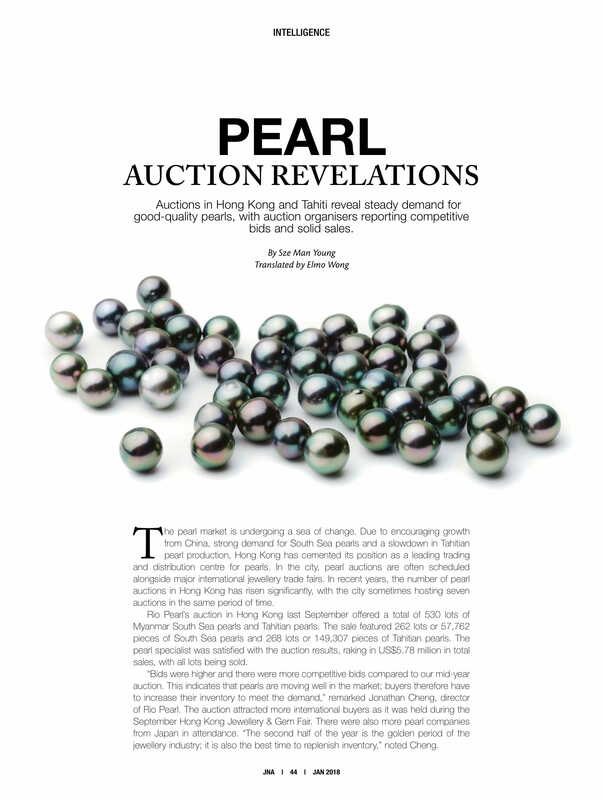 In 2017, the Rio Pearl Auction became a quarterly event, one of the largest pearl auctions in the world, making it a premier event in Hong Kong. Our auctions today showcase the finest gems in the world, in Tahitian Black Pearl, White South Sea & Gold South Sea in Myanmar and Indonesia.